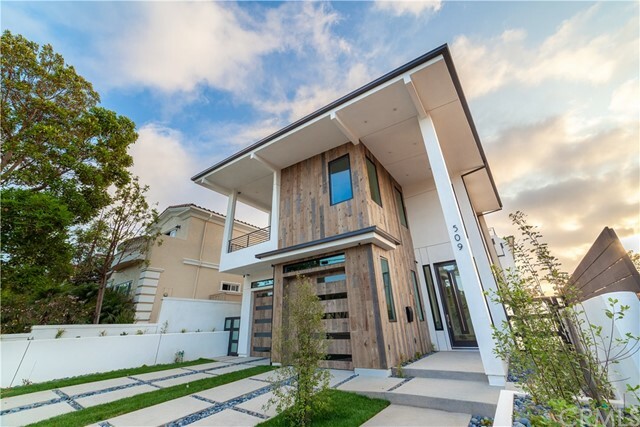 Luxurious modern new construction home with a rustic touch. It features 6 bedrooms, seven bathrooms, with approximately 6,303 square feet of living space (buyer to verify) and located in the beautiful community of south redondo beach. A dramatic 25 ft entry welcomes you and leads into the gourmet kitchen, that boasts a butler’s prep kitchen, custom island with reclaimed wood accents and thermador appliances. The open floor plan allows for entertaining on a grand scale with lacantina folding doors that open to the outdoor living space and gorgeous pool and spa. Lounge on one of the two outdoor patios while enjoying the built-in barbecue and firepit. The master bedroom has a zen spa bathroom with dry sauna, large walk-in closet and expansive views. A cozy sitting area with fireplace is great for casual entertaining, gaming or a wine tasting with a bottle from your aficionados wine cellar. The rooftop deck with glorious views will be a sure hit with your guests. The casita is perfect for the in-laws or out of towners with a sitting room, bedroom, and full bathroom. Additional touches include, smart home technology, elevator, beach shower and a 3 car garage. Too many luxury upgrades to list! Experience the best the southbay has to offer. 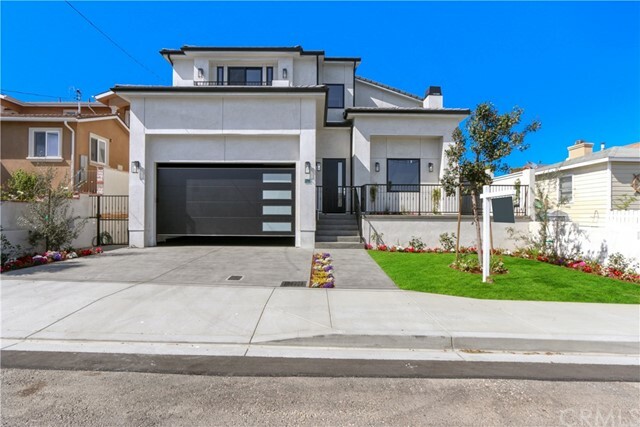 I am proud to present this brand-new custom built home with detached guest house, all located in highly desirable north redondo beach ca. This home exhibits modern elegance, spacious living and panoramic views of the palos verdes hills. Beautiful finishes throughout and attention to detail make this a one of a kind property. The front house contains five bedrooms and four baths. The rear guest house contains one bedroom and one bath. Its close to the beach, shops, schools and transportation. Please see it before its gone. Built by advanced design & construction inc.